With our service for staff housing, we are able to take care of all concerns regarding the accommodation of large groups of employees or individual expatriates. After we find suitable accommodation, we can provide a tailored package to make sure that the entire process is handled professionally and efficiently. We represent the entire aanhuurproces only your interests. In addition to scanning the market and negotiating, we can take care of the complete device, shutting off the utilities and complete financial and technical management. These are just some examples. We recognize that every company has their own preferences in the staff accommodation. With our project, we offer in addition to the single point of contact ‘administration but also technical support if required. Our Weena Housing Service Team allows us to solve most problems within a day. Our estate is ready for you and are accustomed to last minute requests to provide. If you have a custom package are interested, please contact +31 (0) 10-7953283 or send us an email. 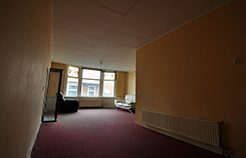 Two rooms apartment for rent on the Wolphaertstraat in Rotterdam South. 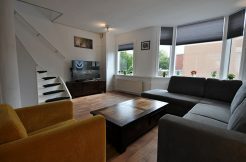 For rent furnished three room house on the Archimedesplein in Schiedam.